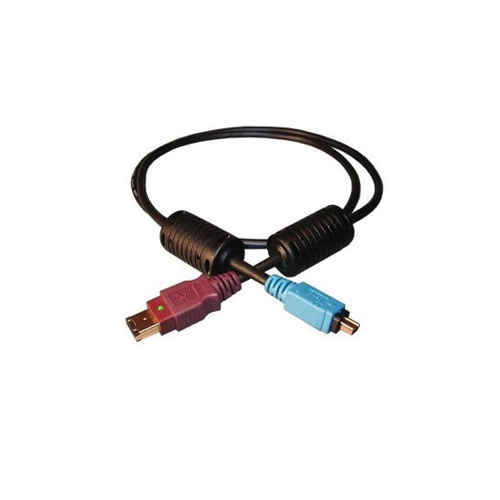 The FIREvue Gold Diagnostics FireWire cable is a ultra high quality 1394a Firewire interconnect whose triple shielding with integrated ferrite beads, gold contacts, gold connectors and extra heavy gauge twisted pair wiring eliminates cross talk and data errors that can be problematic in high RFI environments. These FireWire cables have been shown to resolve system lockup issues caused by RFI from common mode currents and near field RF exposure. 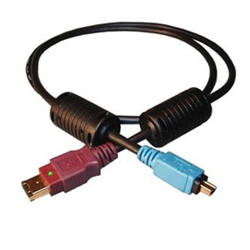 This cable is normally used to connect a laptop PC to a FLEX-x000 Firewire based SDR.